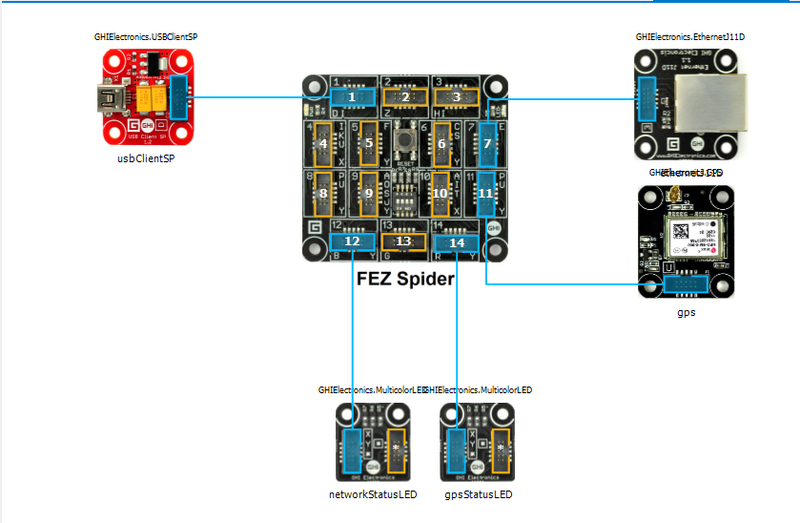 After a break from the GPSTracker samples I dug out my FEZ Spider devices, upgraded them to .NetMF 4.3 and downloaded the discontinued module drivers so my SeeedStudio GPS would work. The GPS is initialised with handlers for valid & invalid positions. This entry was posted in .NetMF, FEZ Spider, Internet of Things, Service Bus and tagged azure, Fez spider, Internet Of Things, NetMF, ServiceBus. Bookmark the permalink.